Join the Holocaust Memorial Miami Beach for its annual HOLOCAUST EDUCATION WEEK, January 26 to February 3. Learn about the Allies’ response to the Holocaust via political cartoons; attend a community read and discussion of Night by Elie Wiesel, z”l; discover the Yiddish songs and poems borne of the creative resistance movement in the Warsaw Ghetto; and much more. Nearly all events are free of charge and open to the public. 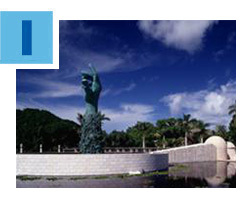 The Holocaust Memorial Miami Beach is a Committee of the Greater Miami Jewish Federation. For more information, click here. 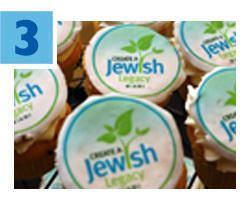 Federation’s Create a Jewish Legacy (CJL) program recently celebrated its 5-year anniversary with an event honoring Federation’s 13 partner agencies for securing legacy gifts for Miami’s Jewish institutions. During the party, Arlene Schiff, National Director of the Harold Grinspoon Foundation’s LIFE & LEGACY initiative, shared that CJL and its representatives have engaged in more than 700 legacy conversations over the past five years, securing more than 650 legacy commitments with an estimated value of $40 million in future gifts, which will benefit the Jewish community. Read more. 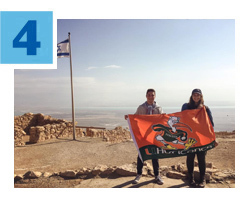 Students from University of Miami Hillel, one of seven Federation-supported Hillels throughout Florida, recently participated in Birthright Israel and visited Miami’s partnership city of Yerucham. The students spent a morning at the Veteran’s Museum, learning about the Russian-speaking community in Yerucham and the numerous Russian veterans who battled the Nazis during World War II. Participants concluded their day by meeting Yerucham youth and celebrating Chanukah together, lighting candles and eating sufganiyot (doughnuts). Through a day of fun and engaging activities, the students were able to fully comprehend the significance of the Miami-Yerucham Partnership. From Eastern Europe to Central Asia, Federation is preparing the most vulnerable Jews for the onslaught of winter. 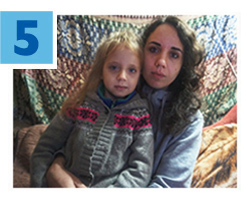 Through Federation's partner, the American Jewish Joint Distribution Committee (JDC), Marianna, 28, and her 6-year-old daughter, Valeriya (left), receive warm boots and coal for heating their tiny, dilapidated apartment in Odessa. The winter supplies help Valeriya, who suffers from frequent colds and other medical complications. 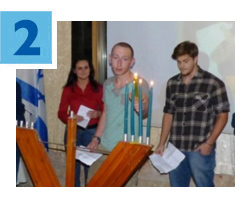 Now and throughout the year, JDC also provides food, medical aid, school supplies and more to Jews around the globe.